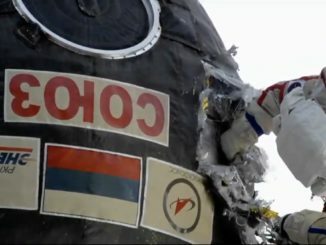 Clad in pressurized spacesuits, Russian cosmonauts Oleg Kononenko and Sergey Prokopyev used knives and scissors to slice through insulation and a debris shield on a Soyuz spaceship set to return to Earth next week, finally reaching the capsule’s metallic hull to examine the site of an air leak plugged in August. 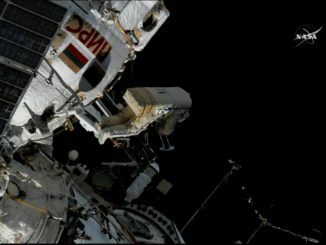 Clad in pressurized spacesuits, two Russian cosmonauts headed outside the International Space Station on Wednesday and hand-released four tiny CubeSats and installed hardware for a German experiment to track animal migration. 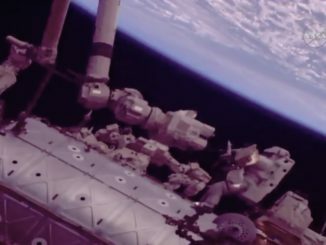 Two astronauts floated outside the International Space Station Thursday and installed two new cameras on the front of the lab complex that will provide views of commercial crew ships during final approach and docking. 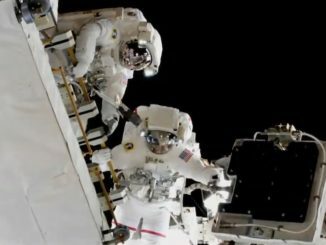 The spacewalkers also replaced a faulty high-definition camera and closed a door that was jammed open on an external instrument. 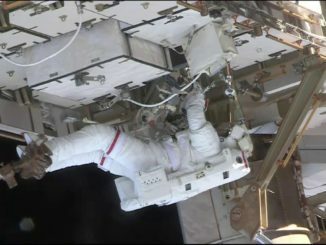 Two astronauts worked outside the International Space Station Wednesday to reposition two spare solar array ammonia coolant pump assemblies, putting a failed unit, dubbed “Leaky,” into long-term storage and attaching another, known as “Frosty,” to an appendage of the lab’s robot arm. 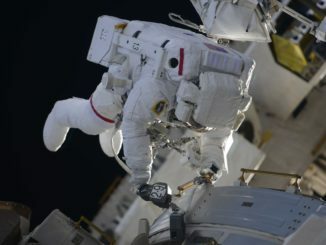 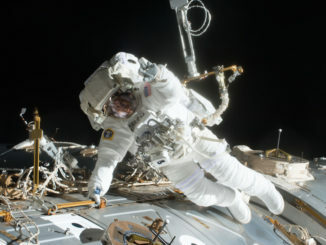 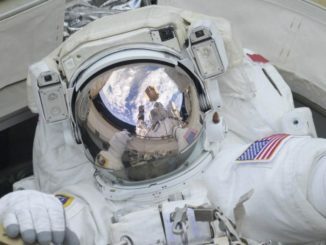 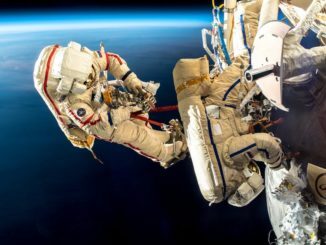 Two newly arrived space station astronauts, both veteran spacewalkers, suited up and ventured outside the lab complex Thursday to install additional wireless communications gear, to replace a balky camera and its pan-and-tilt mechanism and to remove two suspect hoses in the station’s ammonia coolant system.